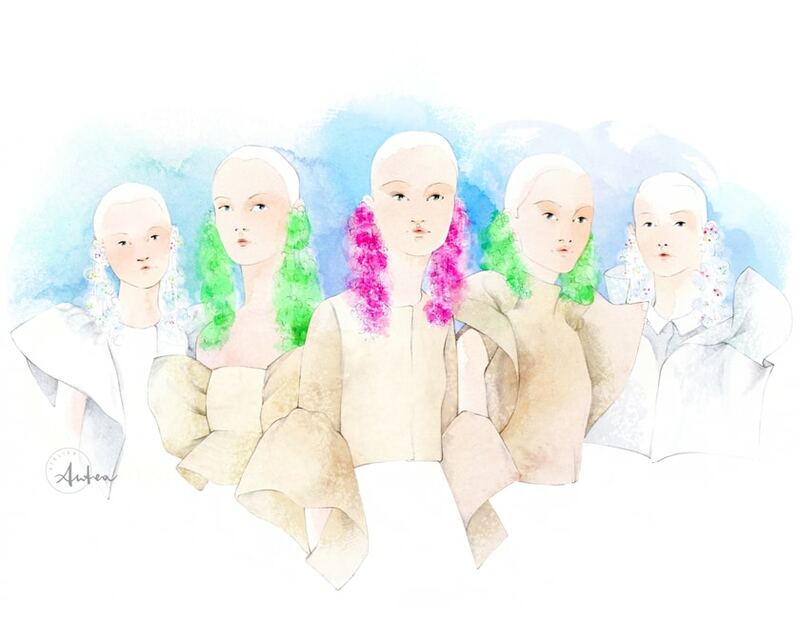 Let me introduce to you my Delpozo’s ladies team! 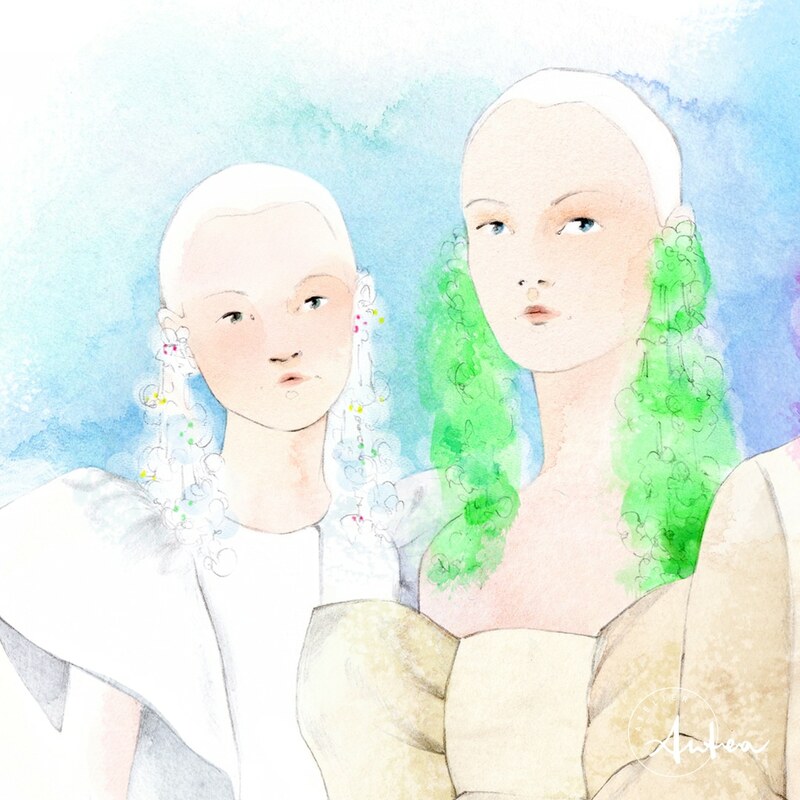 The clean and simplicity of their looks brought me to keep my drawing minimal, working on soft hues and strokes. The truth is that I really love drawing faces so, this illustration offered me a big chance to exercise with portraits and I enjoyed it so much. 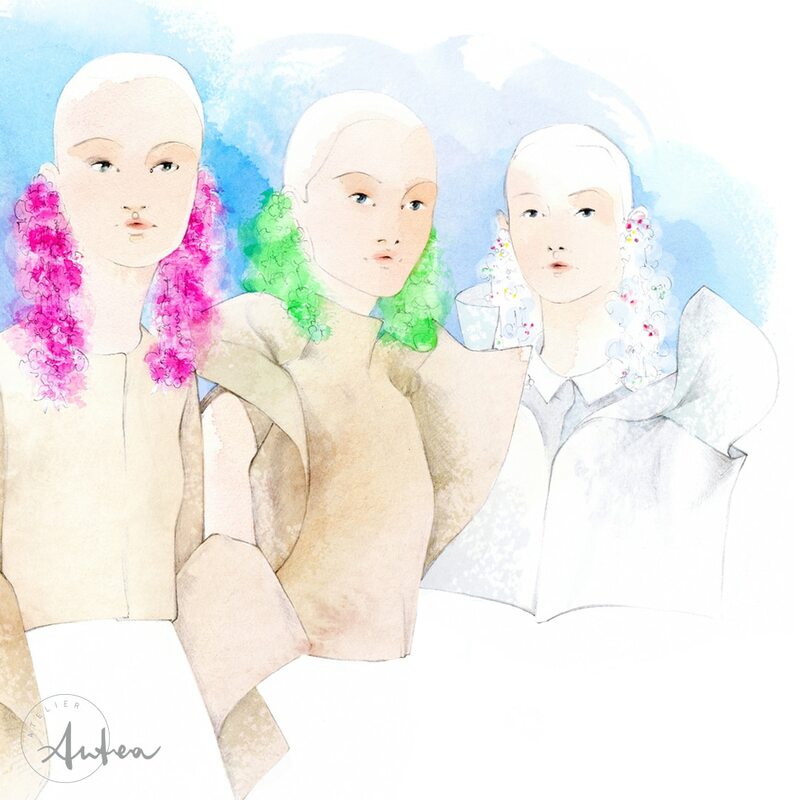 I think that there’s nothing more to say about the subjects than, as they say, I have this thing with Delpozo ­­- and everything coming from the Josep Font’s beautiful mind. It’s very stimulating to work on a subject that perfectly embodies your own vision and sensibility, don’t you think? I hope that you’ll enjoy the final result as much as I did drawing it!